Tonight, I was in the RV-Dreams Chat Room. And the question about deducting interest on an RV loan came up. I know a lot of people are paying cash for RVs, but isn't it better to finance if I have income in retirement in order to take the interest deduction and lower my gross income for tax purposes? My answer: NO, NO, NO, NOOOOOOO!!!!! That's the same skewed thinking that makes people think it is better to have a home mortgage than not. Now, I'm not talking about those that have to have an RV loan or a home mortgage. I'm talking about those that have an RV loan or home mortgage when they don't have to or when they could have smaller ones. Is Interest On An RV Loan Deductible? "For you to take a home mortgage interest deduction, your debt must be secured by a qualified home. This means your main home or your second home. A home includes a house, condominium, cooperative, mobile home, house trailer, boat, or similar property that has sleeping, cooking, and toilet facilities." you can deduct the interest paid on Schedule A - Itemized Deductions (subject to certain limitations for specific situations). So, if the only way you can buy an RV or House is to have a loan, then you might as well take the mortgage interest deduction (assuming your total itemized deductions on Schedule A including the home mortgage deduction exceed your standard deduction). The 2009 Standard Deduction for married filing jointly is $11,400 and for singles it is $5,700. BUT, if you don't HAVE to have a loan, don't get one JUST to have the interest deduction. Let's look at some examples. A typical RV loan usually has a term of 10 - 20 years with the higher loans having longer terms. For these examples, we'll assume a 7% interest rate. Once again, note that the 2009 Standard Deduction (if you don't have enough to itemize) is $11,400 for married filing jointly, and we'll assume that filing status for these examples. First of all, the interest on that 10-year loan would be $19,665 for the life of the loan - 39% of the original loan amount. Now, the first year's interest on the loan will be $3,387. You have to have a lot more in itemized deductions to beat the standard deduction amount, but let's assume that is the case. As part of your itemized deductions, you get to deduct $3,387 in interest from your gross income, which is, say $50,000. Let's say you are in a 25% tax bracket. So, by having the loan you pay tax on $46,613 which is $11,653 ($46,613 X 25%). That's opposed to paying tax on $50,000 which is $12,500 ($50,000 X 25%). The total interest on that 15-year loan is $61,789 - 62% of the original loan amount. The first year's interest will be $6,876 - still not enough to beat the standard deduction by itself. But, once again, we'll assume you have other itemized deductions and you get to deduct the $6,876 from your gross income which we will say is $70,000. We'll keep the 25% tax bracket for illustration purposes. By having this loan you pay tax on $63,124 which is $15,781 ($63,124 X 25%). That's opposed to paying tax on $70,000 which is $17,500 ($70,000 X 25%). The total interest on that 20-year loan is $172,143 - 86% of the original loan amount. The first year's interest is $13,849. Now, we're definitely itemizing. :) Let's say your gross income is $100,000 and you are in a 30% tax bracket. By having this loan you pay tax on $86,151 ($100,000 - $13,849) which is $25,845 (86,151 X 30%). That's opposed to paying tax on $100,000 which is $30,000 ($100,000 X 30%). Yeah, sign me up! You just paid $13,849 to "save" $4,155 in taxes. :) Oh, and it gets better. In the seventh year of this loan, the interest is less than the standard deduction which means, assuming you have no other itemized deductions, you are throwing away 13 years of interest payments with no tax benefit. So, a home loan interest tax deduction is a terrible, terrible reason by itself to finance an RV. But even if you have to get a loan, don't get more than you absolutely need simply because you want a higher interest deduction - the math is the same. 1) It's never smart to pay interest you don't have to pay to get a tax deduction. 2) We are talking tax "deductions", not "credits". Deductions reduce your gross income so that you are taxed on a lower amount. It is not a dollar-for-dollar reduction in taxes - the tax "benefit" is only a percentage of the total paid out (i.e. 10, 15, 20, 25, 30 percent - whatever tax bracket you are in). That's why the math doesn't work. And note that the lower your income, the bigger the spread between what you pay out and the tax benefit. 3) If you can't itemize, even with the home loan interest deduction, you get no tax benefit whatsoever from having the home loan. 4) On all home mortgages and RV loans, the longer the term, the closer you come to paying double the purchase price in interest. In fact, on large 30-year loans you can pay over double. Keep terms as short as possible. 5) On all home mortgages and RV loans, you pay higher interest in the first years. So, the tax "benefit" is highest in those first few years. In later years, when the annual interest is no longer enough to make it worthwhile to itemize, there is no tax benefit whatsoever of having the loan. Can You Purchase An RV To Full-Time In And Take The First-Time Homebuyer Credit? 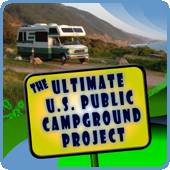 Well, some RV websites and forums are saying "yes". I happen to disagree, and I'll explain why. Of course, I'm just a regular dude, and this is just my opinion. So my disclaimer is to advise you to talk with your tax professional. Why is this even an RV discussion? Good question. You would think that the "First-Time Homebuyer" thing would end the discussion for most. However, it doesn't. The First-Time Homebuyer Credit has three basic versions and applies to homes bought after April 8, 2008 and before May 1, 2010. For homes bought in 2008, the credit was for first-time homebuyers. You could get up to a $7,500 "credit" which was actually a dollar-for-dollar reduction in your taxes which could result in a refund. However, that credit was basically an interest free "loan" and had to be paid back over time. The credit had to be taken on the 2008 return and then it is recovered on future returns. For homes bought by first-time homebuyers in 2009, up to November 7, the credit was up to $8,000 and does not have to be repaid (with some exceptions). That credit was for first-time homebuyers defined as "new home owners that have not owned a home in the prior three years". That credit could be taken on either the 2008 or 2009 return for a 2009 purchase. Then the law was modified to extend a credit to "new home owners" that were "long-term home owners" buying new-to-them homes after November 6, 2009 but before May 1, 2010. Suddenly, there was a credit for those that aren't just "first-time homebuyers". The credit is up to $6,500 and does not have to be repaid (with some exceptions). A long-term home owner is defined as someone that has owned and used the same principal residence for at least five consecutive years in the last eight years. That credit can be taken on either the 2009 or 2010 return for a 2010 purchase or on the 2008 or 2009 return for a 2009 purchase. Okay, so the RV discussion arises from those that have owned a house for a long time and wanted to purchase an RV as their new home. Once the long-time homeowners were put into play, those planning to full-time are seeing an opportunity to buy an RV prior to May 1, 2010 and take the credit. After all, the credit applies to the purchase of a "Principal Residence" doesn't it? The First-Time Homebuyer Tax Credit isn't so clear on that. Tax code provisions don't necessarily use the same definitions, so we can't just use the definition of "Qualified Home" from the Mortgage Interest discussion above and plug it in here. The credit clearly applies to "conventional" homes and to mobile homes, but it is not clear as to whether it applies to a travel trailer/fifth wheel or motorhome. I suppose it can be argued that it does apply, but there is evidence that RVs, unless affixed to real estate, don't qualify. The strict view, in my opinion, is that knocks out travel trailers and fifth wheels unless they are affixed to real estate. A more expansive view might, if I wanted to take a little risk, lead me to take the credit IF I had real estate with a physical address to put the trailer on. But I doubt I would take that risk. Another question is not quite so "on point", but it does provide some insight. Now, that question is relevant to RVers in that it clearly indicates that a full-time RVer who has been full-timing three years or longer, can buy a house before May 1, 2010 and be considered a first-time homebuyer. However, by also clearly stating that a motorhome doesn't qualify as a "principal residence", I think it's a pretty easy jump to say the purchase of a motorhome would NOT be eligible for the credit since it would be considered personal property and not a principal residence. "It's never smart to pay interest you don't have to pay to get a tax deduction." "Amen" to that - about 100 times. :) Debt is what keeps people working longer - or sometimes forever. You are truely something my friend.Not only do you take the time to answer questions, but your in-depth coverage is amazing.Besides you and Linda being great people.You show your care for each and every reader by showing us the cold hard facts.No fluff!! 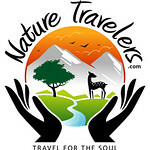 That is one of the reasons RV-Dreams keeps growing and growing, while others just write for thier own entertainment.Thank you for being you.You always are going above and beyond for all of us readers.This is one of the huge reasons that I cannot wait for the Rally.My travel budget is very tight,but I consider it a wise investment to be taught by people that truely care that I learn the right information.I can rest assure that whatever research and hardwork needed to be done to teach a subject was done.Not to mention the FUN and new friends I'll make at the Rally.Anybody that might be just tuning in to this great website, would be wise to make every effort possible to get to Longs,South Carolina on April 7 to the 11th.I will get off my soapbox now, but I mean every word with all my heart. I always pay interest when my yield on the money exceeds the cost of the interest. http://protechrvtravel.blogspot.com/2009/10/2009-sales-tax-deduction-for-new.html It includes a link to the IRS web site as well. Howard – good write up in general, however you did not address the potential the offset of having the money that you would have used to purchase the RV (or house) invested. There are times when income of the investment plus the savings in taxes could swing the equation the other way. In addition if you have the money invested and need to liquidate investments to purchase the RV (or home) – you will have to take into account capital gains taxes to figure out what really makes sense for their individual situation. Thanks for the post Howard. Great information and the same advice I would have gotten from my dad who spent his career managing finances. Pay as you go or don't go. That's my modus operandi. I would go with Howards method any day rather than what you MIGHT gain with investments. That's the best advice I have seen on an RV site, ever. Thanks for the details. We already made our choice early on in our research. Your reference to Dave Ramsey and staying out of debt were enough for us to give up the idea of financing an RV. What a great post with lots of details. Thanks for the info and taking the time to spell it out. We plan to discuss the "long term homeowner" topic with our tax preparer. Since we sold our home and now full-time in a motor home, we want the credit if a motor home qualifies. A houseboat qualifies so I'm hoping a motor home will qualify as a "mobile home" - it's a home and it's mobile :) Wish us luck! Howard, as a Certified Financial Planner I am compelled to caution you against dispensing financial advice that you are not qualified to give. For some, borrowing for an RV purchase is inadvisable but for many it's perfectly appropriate. Your assertion that "it's never smart.." is irresponsible and your argument doesn't support it. As Bill and Barney have noted, you completely ignore opportunity costs. Please be more careful. Keep on stating your opinion, Howard. I have listened to enough "CFP's" in my life who have given me nothing but bad advice that I am ready to choke the next one who tries to tell me that they are the experts and we are the novices! Excuse me, but where waa their expert advice before this last mini depression that lost so many people tons of money? It is these "experts" that I am way too leary of as they have a vested interest in taking our money, whether we make any money or not. You, on the other hand, have nothing to gain and I respect that. On top of that, because he so eloquently put CFP behind his name, I immediately dismissed his opinion in favour of yours...kind of like when you go shopping for a car, RV, etc...and the salesman tries to show off how much knowledge (?) they have. Here's to Howard and his opinions.....KEEP UP THE RANT! Perhaps one day we will listen more to people like you and less like him. Howard, you have given excellent advise. I totally agree. I have a financial adviser, a CPA and a trust/will attorney but when it came to paying for my RV I paid it off from my house sale before investing the remainder, that was before the market tanked. No matter what the market condition I would have opted to be debt free before starting my life as a fulltime rver. I would like to tell everyone to be loving, kind, and considerate to your spouse but since I am not a marriage counselor I can't tell you the obvious. Carry on Howard. It’s my industry’s own fault that people are so naïve about borrowing. For decades we focused on investments to the exclusion of the liability side of the balance sheet. So, when someone like Dave Ramsey comes along preaching that indebtedness is the bane of modern civilization, people eat it up and beg for more because they have no frame of reference. The reason that I chose to comment on this post was to stress that broad statements about financial matters are dangerous and every situation should be analyzed on its own facts and circumstances. Forget it Paul, it appears you're preaching to the wrong crowd here! Now, as a former full-timer (2.5 years) I'm wondering where the 'carefree', 'stressless', 'laid back wonderfulness' of the RV lifestyle, that is (was)the cornerstone of this site, has gone? Lot's of defensiveness, anger and closed mindedness here! We recently sold our home and are now renting but are considering an RV. Your article helped clear up some mis-conceptions. We were going to take a home loan in order to get the deduction but with the decreased income it doesn't make as much sense. Thanks for the content. The example was quite revealing! so can I avoid capital gains taxes after selling my home,by buying a rv with the preponderance of those proceeds, and how soon would I have to do so before penalty, any clues? Buying an RV has nothing to do with avoiding capital gains on the sale of a home. There used to be a requirement to "reinvest" home sale proceeds to defer capital gains, but those laws were re-written several years ago.